The Mountain Hardwear Snowtastic 28 pack is a good idea that just wasn't executed very well. Some of the flaws can be fixed with very little time and money, others leave me scratching my head and asking "why did they choose to do it that way?" As far as carrying capacity, I'd say it's great for day trips, but accessing your stuff isn't the easiest. I bought the MH Snowtastic 28 because I want to get a little more adventurous in my snowshoeing this year, and my Camelbak pack doesn't hold much more than a shell, knife, energy bars, and compass. The reviews were all pretty solid, but I'm thinking either they were written by people who don't care about features or I'm just too hard to please. 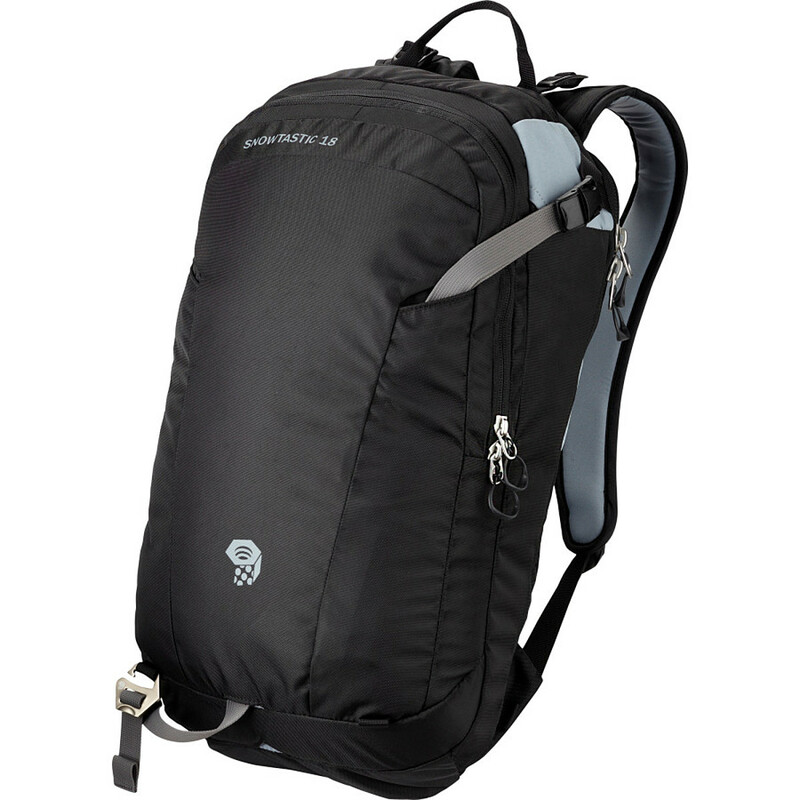 The pack is made of a relatively heavy-weight nylon, with a total of three compartments. The shoulder straps are about 2.5" in width, and both they and the waist belt wings are padded with what looks to be 3/8" thick foam. 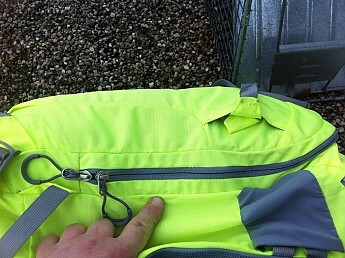 The left shoulder strap has a zippered sleeve for your hydration hose, which can be fed up from the main compartment. The Camelbak winter hose with insulated hose and bite valve covers fits through with no trouble, as long as it's the new style that can be detached from the bladder and fed backwards through the sleeve and into the main compartment. The bite valve cover has to be left outside of the sleeve, but I've never had a problem with that part freezing with my other Camelbak. Blow air into the system every so often to keep ice from forming if necessary. The hydration sleeve is a pouch inside the main compartment, which to me is asking for trouble if the bladder or hose springs a leak. There's a bladder hanger at the top of the main compartment, which is a nice feature. The back panel is heavily padded, with ventilation channels. I loaded the main compartment with a full hydration bladder, my Marmot Odin down jacket (stuffed into its own pocket), my MH Octans fleece jacket, and a Stearns "Mad Dog Gear" waterproof/breathable parka shell that's midway in size and weight between my EMS Thunderhead and my USGI ECWCS parka. I'm sure I could fit some more gear in there if I compressed stuff with freezer bags. The pack rides very nicely on my back with a weight I'd estimate at 15-16lb. From experience, I'd say this pack would be starting to get uncomfortable at about 25lb, given the narrowish shoulder straps. At the top of the pack is a small dual-zippered compartment with a very soft lining that's perfectly sized to carry your goggles, phone, energy bars, or other small items. 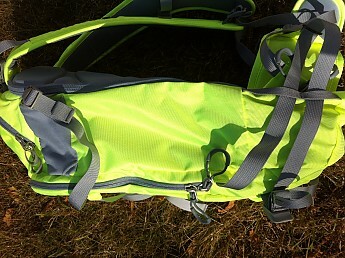 The front of the pack has a dual-zippered compartment with three elasticized tubes inside (on the bulkhead between the main compartment and this one), along with a limited amount of room for other gear. It's supposed to be for safety gear given the relatively quick access (you have to release the side carry buckles to open it), I've never been in avalanche country so I'm not sure what would go here - radio, beacon, flares? They look like they'll hold objects about the size of a can of tennis balls. There's a small drain hole at the bottom of the compartment. The snowboard/snowshoe carry straps are located on the flap of the front compartment, which has thick padding inside it to protect the contents from snowshoe crampons. It fit three different brands, models, and sizes of snowshoes that I have at home — Atlas Aspect 24s, MSR Lightning Ascent 30s, and Tubbs Mountaineer 36s. 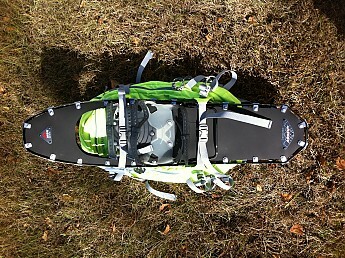 The ski carry straps are on the sides of the pack. I'm guessing they can be carried X-style as well as vertical. So that's the good, now for the cons. First of all, the waist belt is ridiculously short. I have a 40" waist, and the ends are about 6 inches from buckling — and that's with me just wearing a T-shirt. Making your gear for people with waist sizes of around 34 or less seems stupid to me. I've already ordered some 1.5" webbing and Fastex buckles to fix that. Next, I think the compartments aren't very well thought out at all. 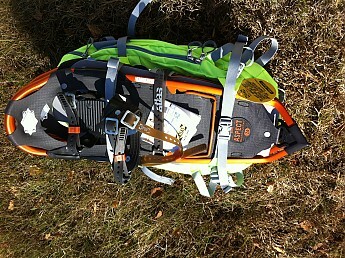 Placing the hydration bladder carrier inside the main compartment, where a leak will cause your gear to get wet? If I was designing a pack like this, there'd be an insulated, waterproof sleeve on the inside of the back panel, with an insulated drain tube running down and away from your body. 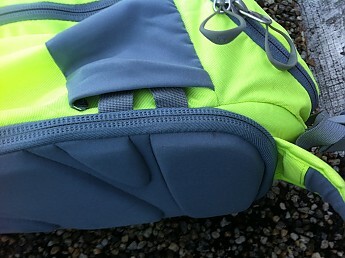 The zipper would be placed so that when fully opened with the pack resting on its back, the main compartment would have walls like a suitcase for easier packing. The front compartment would be similar, and the safety gear loops would be on the flap. I do think I'll like this pack even with its flaws. It's comfortable, just the right size, and securely carries the snowshoes for times when spikes, crampons, or just boots are more suitable. 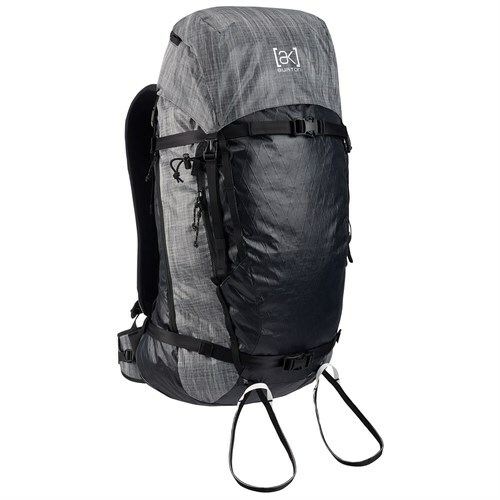 I got the pack, along with a hydration bladder and winter hose kit, for about 60% of the pack's MSRP; I'm not sure if I would have kept it if I'd paid full price, considering what I think to be its flaws. I'm not going to recommend it, but I'm not going to flat-out say NOT to buy it, either. After using the pack 3 or 4 days per week for the past 2 months plus, I have an update to add and am increasing its rating to 4 stars. I still don't really like the zipper and compartment configuration, and I'll reiterate why later. 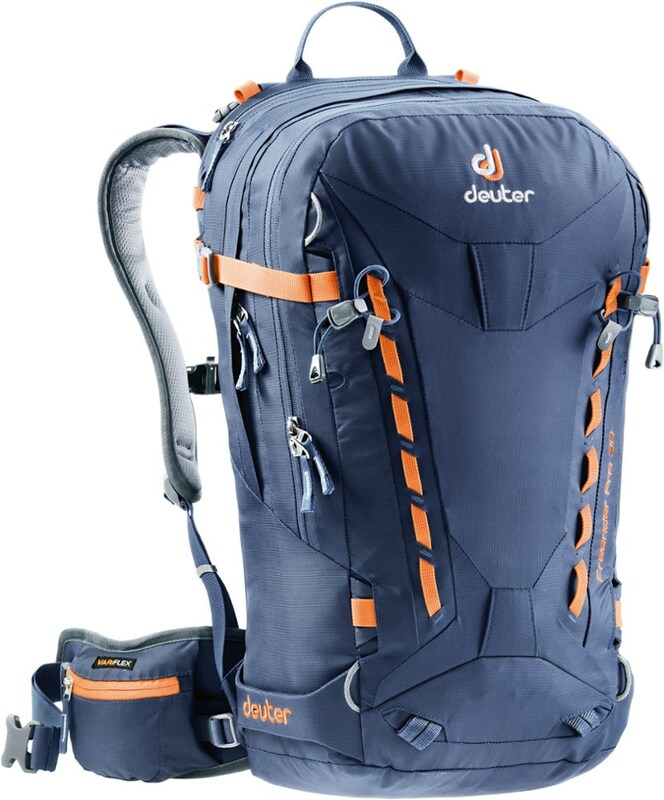 But the pack is very comfortable to carry with loads of around 20lb, you can fit an impressive amount of gear in it, and it's very durable. 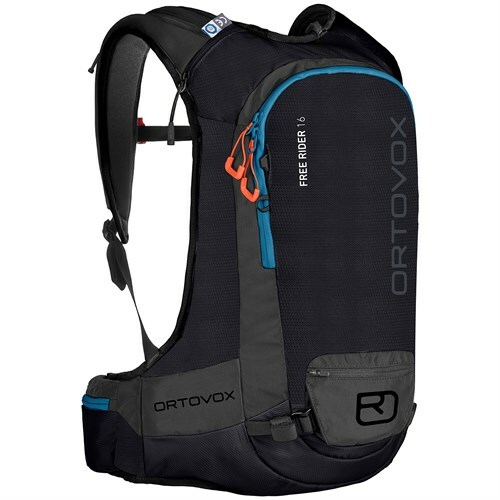 The pack is narrow enough that it doesn't interfere with your shoulders or arms when you're climbing, using trekking poles, or twisting to fit through narrow spaces. All the carry straps can be tucked into pockets or sleeves so as not to snag on vegetation, rocks, etc. There are load lifters on the straps, but I haven't had enough in the pack or hiked far enough that I've needed to use them yet. 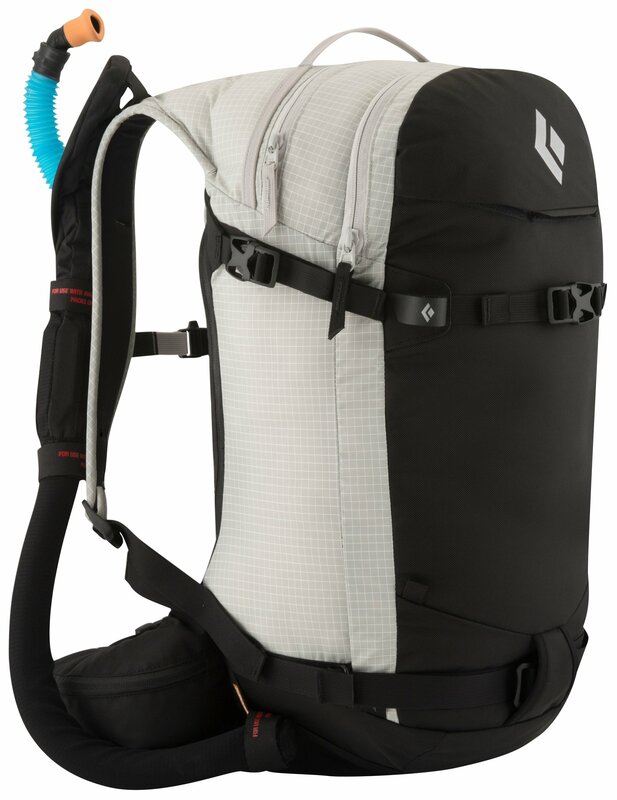 I got a 3l Camelbak reservoir with the pack, and it's easiest if you put the full reservoir into the hydration sleeve before packing the front compartment with anything bulky. Otherwise, the reservoir may hang up because its sleeve is sewn to the back bulkhead of the front compartment. The back panel is very thick and well-padded, with molded-in ventilation channels. It still makes my back sweat, but I've never felt anything stuffed inside it poking me or making the pack sit uncomfortably. There are two pockets on the waist belt, and given the way that the pack seems to be designed for someone quite a bit skinnier than me the pockets are pretty much over my hip bones instead of more toward the front. I still find them easy to access, though, and usually keep a folding knife, energy bar (and the empty wrapper), and my chapstick in there. They're way too small for my iPhone. Snowshoe carry is the pack's strong point in my opinion, and it does very well. 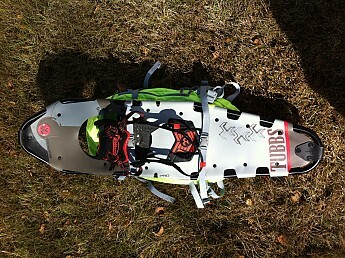 The side straps carry 8" wide snowshoes like my MSR Lightning Ascent 30s or a friend's women's Tubbs Mountaineer 21s with no trouble, and the front straps are long enough to fit around my 10" wide Tubbs Mountaineer 36s. I've even had my MSRs on the front and her Tubbs on the sides without any discomfort. 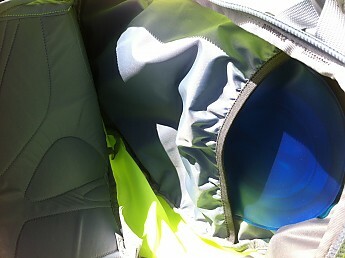 Now, the reasons why I still don't like the zipper and compartment configuration. Picture a suitcase — it's basically a box into which you put stuff, with a flap that zips closed when you're done, right? Now imagine a suitcase in which you had to lay your stuff on the flap, and lower the box portion onto the flap when you're ready to close it up. Not the best design, right? Well, that's the way the front compartment is — you either have to pack it into the very shallow compartment on the main pack (my finger is pointing at the compartment "floor" in the pic) and lower the much deeper flap onto it, or pack it into the deep flap and lower the rest of the pack onto it. 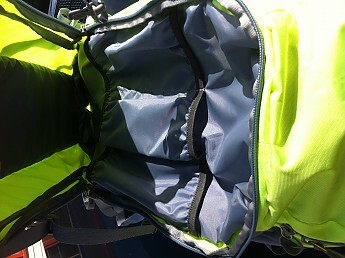 Or, you can just unzip the top of the front compartment and stuff your things in that way. 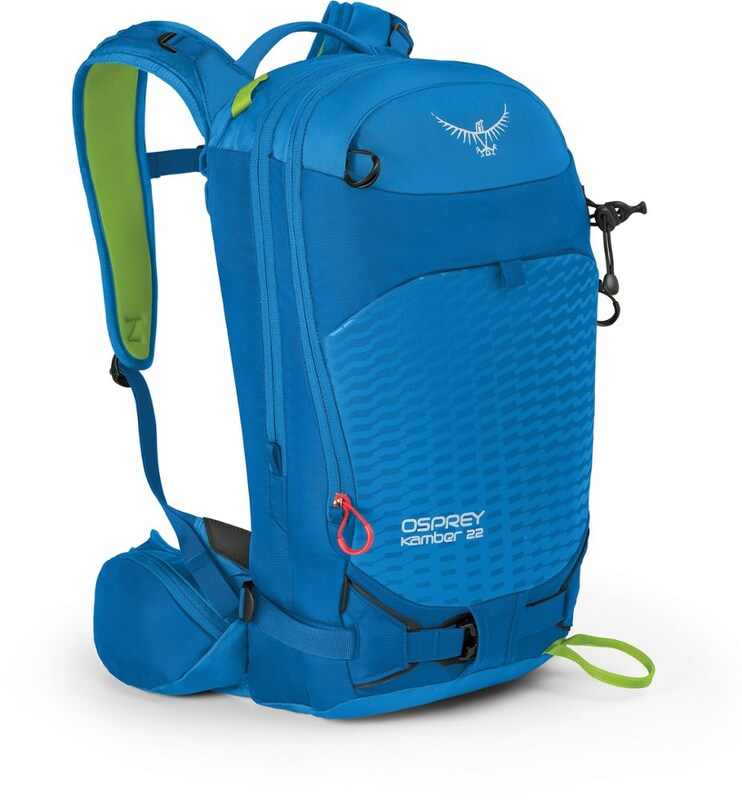 The back compartment is designed better in that the flap is just a flap and you stuff your gear into the body of the pack, but the zipper design doesn't allow you to open the flap all the way. Rather, it zips along the user's right side, over the top, and about 1/5 of the way down the user's left side. Moreover, the zipper is under the pack straps, meaning those are in the way when you're packing, and they prevent easy access to the main compartment (by someone else) when you're wearing the pack because they don't let the pack move away from your body. I think a better design would have been to attach the straps so the zipper was above them. But, those are inconveniences I can live with. I tend to keep things that can easily be pulled out of a narrow opening in the main compartment - wind/rain shell, first aid kit, etc - or just take the pack off if I need anything in there. I'm out by myself more often, anyway, so the pack has to come off for everything then. I'm more impressed now with the Mountain Hardwear Snowtastic 28 than I was with my first impressions, and I think it'll make a great overnight or maybe even weekend pack this summer. My Therm-A-Rest pad will fit in 1 set of side carry straps, sleeping bag liner and bivy sack in the other, with clothing, food, safety gear, etc, in the 3 compartments. If I end up getting myself a nice lightweight silnylon tarp tent, that should fit in the front carry straps without my even noticing it's there. Excellent review, Phil. Thanks for posting it. Great review, Phil! The pictures are really helpful. Well, it may not be the most well-designed pack, but at least it serves its purpose and you got it for a great deal! Thanks, if there's one thing I can't stand it's a review that says only "I like this" or "good gear." So I try to write the kind of review I'd like to read LOL. I'm sort of a gear junky, and if possible I'd buy 2 or 3 wintersport packs to compare them all, but I have a Jeep that I haven't driven since 2012 to rebuild from the ground up and that takes precedence! Hi Phil, thanks for the review. Since the Snowtastic is designed as a ski/ride pack for both in and out of bounds, the front pocket is for avalanche gear like a probe, shovel, maybe your climbing skins (you better be wearing your beacon) and the rear panel opening is so you don't have to unstrap your skis or board to access gear: http://www.mountainhardwear.com/snowtastic-28-backpack-OU5626.html Hope that helps. Keep us posted. Thanks for sharing your update, Phil. The Mountain Hardwear Snowtastic 28 is not available from the stores we monitor. It was last seen January 9, 2018	at Backcountry.com.